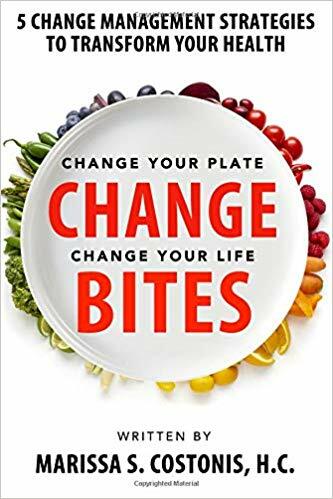 Change Bites is a book written by Marissa Costonis, a Certified Health Coach. Marissa has over a decade of experience, as a consultant, in change management and has combined the two to create this book outlining a successful process to adapting your health. Looking on Amazon there are a dozen reviews all giving 5 stars noting the book as a health map, insightful, wonderfully written and how to change your eating habits. So, I was keen to read the book myself and find out more myself and I had the chance to ask the author some questions. The book itself provides readers with a step-by-step guide for how to change eating habits. There are many different diets these days and this book covers the process regardless of this and so includes vegan, paleo, gluten-free, and keto diets. When we change our diets there many obstacles to face and the period of adjustment for our bodies can present many challenges. As mentioned earlier Marissa uses best practice in change management, from her own experience, to outline this process. First, I love the name! Before reading the book, I hadn’t fully grasped what you meant by the title until I got into it and read the line ‘Change is difficult. Change is messy. Change BITES!’ and it does! That period of transformation on any change journey can often be the make or break and determine the results. One of the things I liked about the book was that is was born from your own personal experience. After developing neuropathy, and other health problems I imagine it was stressful to have to change your diet and lifestyle for medical reasons? Honestly, it was awful! I left the Doctor’s office in tears when he told me I had to give up 90% of the foods I was eating today (gluten, dairy, grains, sugar, processed foods). What was left to eat?! I waited years for answers to my health problems but this wasn’t exactly the ‘prescription’ I was hoping for. After a period of shock, I quickly realized that the idea of NOT changing was even worse! My digestive and sinus problems were out of control, the tingling and numbness had spread from my legs, to my arms and into my face, mimicking the signs of MS, and my overall immune system was shot. In my mind, no matter how stressful, it was time to change! Despite any stresses that you experienced, a huge positive to come out of it was your ‘5 Bites to Health’ that is covered in the book. Prior to your medical situation had you intended at the start to write a book that covered this information? In my corporate career in change management consulting, I often used change models to address the emotional stages employees experienced during a major transformation initiative. As my interest in nutrition and wellness began to grow, I remember wondering if there were any synergies between a corporate change and a personal health change. I never explored this idea until the day I was faced with my own food and health crisis. In consulting, the first stage of any strategic initiative requires some form of long-term visioning, otherwise it’s easy for businesses to get lost in their daily problems and solutions. One day I was sitting in my car, sick, crying, tired of wellness treatments, fed up with all the food restrictions, and it hit me! I realized that I was acting like a business without a vision. I stopped and asked myself what life would look like if all these problems were gone. I pictured my life with more time to play tennis, hike, visit local farmers markets and go to the beach with my husband and kids. Something began to shift. I decided to focus on my long-term vision of health. Not only was it going to become a reality but I was going to write a book about my personal journey to achieve it. Begin with the end in mind – It is very easy to forget the why when you are embarking on a health journey. We live in a culture that promotes healthier ways of living whether this be through self-care, diet, fitness or in other ways. Most companies market using models with the ideal bodies making us as consumers believe that following their plan/product/initiative would give similar results. It is all too easy to believe them and fall into the trap of trying many things, including gimmicks, in the hope of that ideal result. If only it was that simple! I know myself from looking at the shake that promises weight loss, the simple (though expensive) piece of kit you can use at home that will transform your body amongst many things. If you didn’t have to change for medical reasons what would your why have been? We have been conditioned to think of “health” as the ideal body and weight but the reality is that the definition of “perfect health” is completely different from one person to the next and it likely changes over time. For example, one person might define health as having increased energy, smoother skin, deep and uninterrupted sleep, reduced joint pain, and/or improved digestion. We need to shift the conversation from weight and food to “why change?” and the benefits that can be gained from a true health transformation. Go slow to go fast – I really like this point! We are told what we should and shouldn’t eat and yet when you investigate this further often the diet items are the worst choice from a nutritional perspective. I have known people lose weight quickly on fad diets and I mean a lot of weight over a considerably short period. I am talking five plus stones over as little as three or four months. Diets where you don’t eat solid food for months on end. This is not for me at all. I like my food – cooking it, eating it and enjoying it. It is also not a sustainable way to live a healthy life and have a healthy diet. Not surprisingly when solid foods are reintroduced a lot more weight than was lost was gained. Morale of the story – make sensible choices and if it sounds too good to be true then it probably is! Making drastic changes to our diet just isn’t sustainable. A true food and health transformation occurs one bite at a time. The more we focus on restricting our food, the more we want it! We have all the best intentions of completely giving up sugar or carbs on day one but after a few weeks or months, we simply run out of self-control. Too many times we focus on all the foods we need to give up or eliminate from our diet. My approach is to focus on the positive. Instead of concentrating on all the foods we can’t have, I suggest identifying all the delicious, nutritious foods you can eat and enjoy as part of your new food plan. Set small goals and incorporate more of these whole foods into your diet. 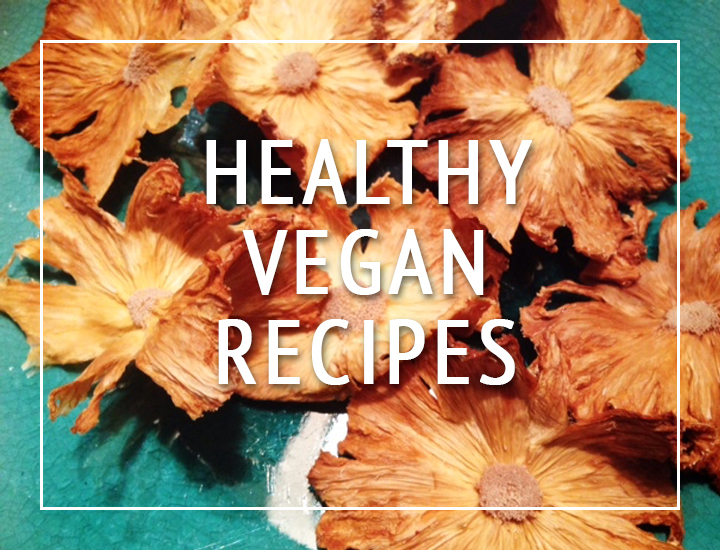 Make a list of all the foods (vegetables, fruits, grains, nuts, seeds, etc.) you like and brainstorm different ways to prepare and incorporate them into your meals throughout the week. This approach helps make long-lasting, positive changes to your eating habits and health. Focus on the foods you can eat – I agree that when trying to eat healthy it is all too easy to focus on the foods you shouldn’t be eating rather than all the good foods you can eat. I am a self-confessed food snob and I like to know what I am eating often choosing to make some nutrition like energy balls or flapjacks myself rather than purchasing from a store. However, I am human, and I have days where I want to have a cheat day – we all do and that is absolutely normal! I don’t think there is any harm in the occasional treat. Would you agree with everything in moderation? Absolutely! The only difference is that I don’t like to call it a treat, I simply call it “part of my food plan”. My food plan incorporates dark chocolate once in a while after dinner or the occasional popcorn at the movies or a gluten-free pizza every so often. By considering this an intentional part of my food plan, it takes the guilt completely out of the equation. These foods are just as expected as the salad I will have for lunch! Most diets don’t recognize these foods as part of their plan (as if we are expected to be perfect) so we inevitably feel like we are “cheating”. When I eat these foods, I don’t feel guilty, but rather savour and enjoy them as an expected part of my eating strategy. Create food flexibility – I have tried to follow a food plan previously and found that I get easily bored with the same foods and that is when I am likely to veer of track. I have created flexibility in my diet by subscribing to a company that delivery nutritionally balanced ingredients for meals and cooking them myself. This way I can still enjoy the act of cooking, have the flexibility of different meals and don’t need to think about what I am having for dinner. How do you work this? Meal delivery kits are a great way to incorporate lots of different vegetables into your diet. More and more delivery programs are catering to specific eating strategies (i.e., keto, low carb, gluten-free) so there is something for everyone! Another strategy that I use is to establish a set of ten proven “recipe techniques”. These basic cooking techniques are aligned with your eating strategy and incorporate a variety of vegetables depending on what you like and have on hand. For example, master a basic recipe for frittata, risotto, veggie soup, chili or stir fry and you have the flexibility to prepare a meal with ingredients from your fridge, pantry or freezer in no time! Celebrate your successes – I have found through my own personal fitness journey that rather than have one, often quite large, end goal that it is equally as important to celebrate successes along the way. I find this helps to keep me motivated – would you agree? There is so much to be gained from making small changes to our food and health but it’s so important to recognize our progress along the way. The simple act of acknowledging how far you’ve come can give you the motivation to continue. Treat yourself to a manicure, new shirt or massage as a way of thanking yourself for taking good care of your body. When I was changing my diet to improve my nervous system, I didn’t set a goal of eliminating all my symptoms of tingling/numbness right away. I set smaller goals and was thrilled when every few weeks I noticed my nervous system getting stronger. This gave me the motivation to stay with my food plan and continue with a variety of wellness practices. Even if your goal is to lose weight, set small health goals and stay focused on how much better you feel along the way. For example, perhaps your goal is to have increased energy to take a walk with a friend or reduce the number of headaches or heartburn you experience. These health goals are just as measurable as the number on a scale and may be even more rewarding! You present the process in a practical and interesting way promoting a healthier lifestyle that encourages a comfortable relationship not just with food but also the body and mind. What are the main ways in which you think people can do this? One of the first steps we can all do right away is to be grateful for whatever health our body allows us to enjoy today. Too often we beat ourselves up with crazy workouts, detoxes, diets or lack of sleep and proper nutrition. I like to think of my body as a young child. I would never deprive my child of a nap or forget to feed her or call her fat! The kinder I am and the better I take care of my body, the better it responds, just like a child. As you begin to sharpen your change skills, try making a few improvements in other areas of your life. Experiment with a new deodorant or shampoo without aluminium or parabens. Try out a few non-toxic cleaning supplies or pesticides or make your own. Change is contagious so practice your new skills to improve your health in many ways! I liked the fact that the book was jargon free and didn’t include all the usual fluff you can find in similar books. I find that by ditching the buzz words it makes it more relatable with sensible examples that are identifiable for the everyday person. Was this intentional and why do you think it was important to present it in this format? The visual elements of the book were extremely interesting, and I liked the way it invited the reader to follow the same process to reach their own findings. According to LinkedIn visuals help improve engagement and I found that this was the case for me when reading the book. I assume that this came from your own journey and was something that you found useful also? This idea of a toolkit stemmed from my work in corporate consulting. The goal is to create a personalized, repeatable, step-by-step process that promotes action. While there is plenty of information provided including examples from businesses, clients and my own personal story, this 5-step process is meant to promote action every step of the way! Additional worksheets are also available on my is website: www.changebites.com so you can continue to use the process to set and achieve additional food and health goals. It was good to read you state to ‘forget the word diet and focus on health’. 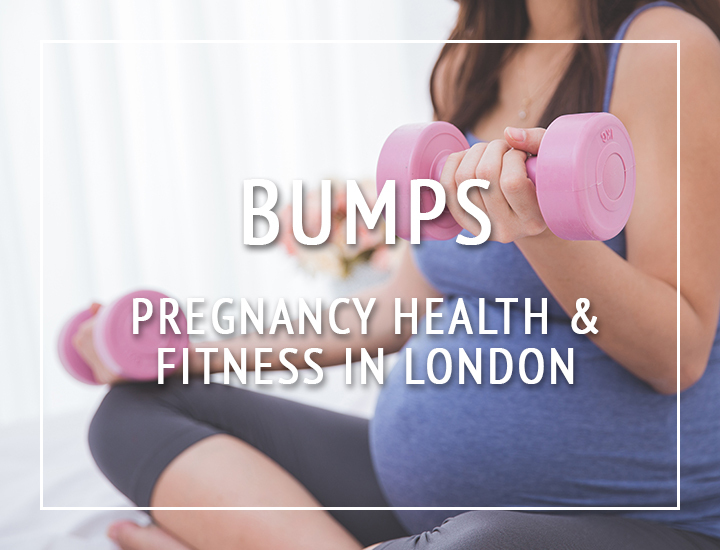 I have a personal blog, which started as a fitness and weight loss journey and only recently I changed my strapline as I have learned through my journey that it is about becoming a healthier and happier me. Not that you entered this for weight loss reasons as it was more medical, but did you find the same happen through your experience? The reality is that weight loss alone is not enough of a motivator to create sustainable changes to your diet. Creating a clear vision of what “perfect health” looks and feels like to you provides a far greater incentive to change. For example, after learning to interpret my body’s ‘language’, I realized that the cysts on my face were from eating gluten and the bloating I often felt was from dairy. It’s easier to replace those foods for the long-term with this knowledge. My body definitely feels stronger and leaner but more importantly, I am more connected to my body than ever before. We speak the same language and take care of each other! I read with huge interest from a personal perspective as my husband has an ongoing issue with his leg that has affected his lymphatic drainage so when I came upon the part of the book that highlighted that acupuncture and acupressure could help I was intrigued as these are not treatments he has been offered in the 7 years he has had the issues. That and that ‘85% of people said they followed some dietary restrictions to improve their symptoms/condition’ I could completely relate. He was told to cut out meat and in the grand scheme of things said it is the easiest thing he had to do. More and more people are using food as medicine to address their health problems with great success and research is finally coming out to prove this as an effective method of treatment. When you see the results, it actually becomes easier to make the change. It’s as if you discover a severe allergy to peanuts and need to give them up. It’s not nearly as difficult as you thought! There are so many types of wellness practices available today from lymphatic drainage to salt/light saunas to reiki, reflexology, energy therapy and many more. I tried them all as I was desperate to do whatever possible to improve my symptoms. Be careful and do your research! Select the treatments that work best for your specific goals. Prioritize treatments and costs so it doesn’t become too overwhelming for your body and your wallet! I completely agree with your statement ‘surround yourself with supportive people who really get it’. I think a good support network is key in many areas of our day to day lives. I have found this massively helpful in my own journey by eradicating the ‘toxic tribe’ as you call it – did you find this helped through yours also and led to your progress? Yes! During my transformation, all my energy was devoted to healing and taking care of my family. I quickly realized that there was no energy left for anyone or anything outside of that. With the toxic tribe, I found it was less about the other person and more about reflecting upon myself after spending time with them. If I felt emotionally drained, judgemental, or felt an overall lack of energy, I knew that person was toxic for me and it was time to re-focus on a more positive influence. You are also involved in individual and group coaching programs, workshops and are a guest speaker sharing your unique approach and support others in their journey to health. It must be rewarding to do so. Do you enjoy seeing the results that come from people following the process you laid out in the book? Because the process is so repeatable, it’s incredibly rewarding to support my clients to achieve their food and health goals and then watch them use the process on their own to continuously make positive changes! I have many different types of clients that follow a variety of eating styles and the process works for everyone. I have one client who was 18 when I met her after she was just diagnosed with celiac disease. She was terrified and came to see me with her mum. Using the 5 Bites process, she mapped out a specific vision and goals for her health. She wanted to gain the skills and confidence to discuss her diagnosis comfortably with friends and restaurant servers to ensure she could dine out or order-in safely without fear of becoming sick. She identified all the whole foods she loved, developed new gluten-free cooking skills, joined discussion groups online and used apps to find restaurants that kept her safe. After a few short months, her smile was bright, her confidence was brimming and she glowed with beauty from the inside-out! All our coaching sessions included her mum so watching their relationship grow stronger from this diagnosis was particularly rewarding for me.